Don’t you just love a good house tour? I know I do. If you are visiting from Mandi’s place thanks for stopping by! That Vintage Revivals has such an amazing mod-aesthetic. She’s a trend setter and true genius. Love her! I’m honored you popped in to see my humble abode. 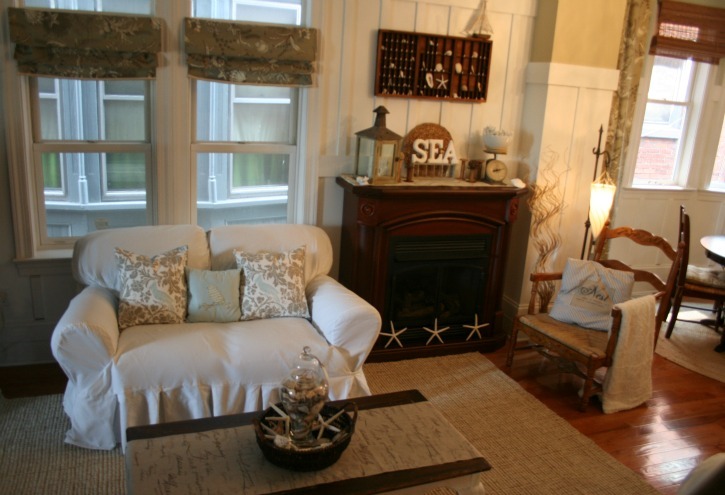 When Gina from The Shabby Creek Cottage asked me back in the winter if I would like to be part of a summer home tour, I was hoping by now I would have a myriad of new projects and pictures to show off. No such luck. However, right now my house is completely torn apart because we are in the midst of some major changes so consider some of these pictures “before” pictures. Isn’t that always how it is? 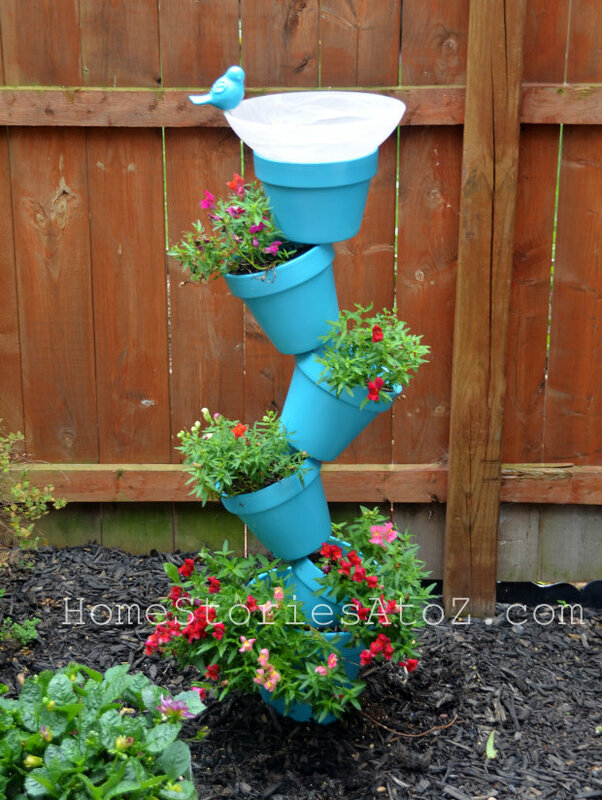 Nothing is ever quite “done” in DIY land! I’m going to be very few in words from here on out so just enjoy the tour! 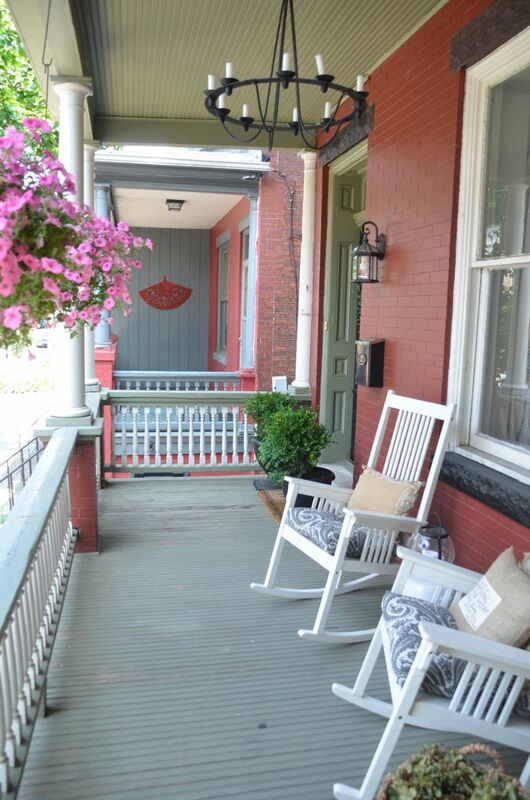 The exterior of our home and front porch will be getting a new look this summer with some more neutral-toned paints. 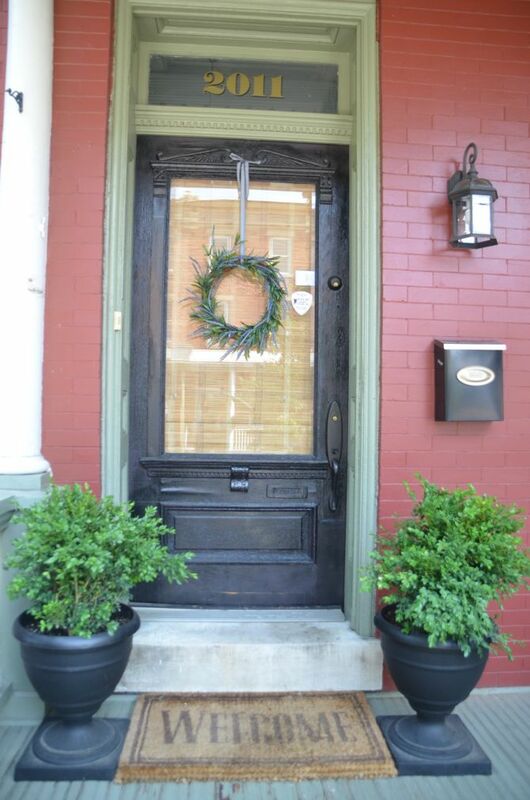 But for right now, we enjoy our spacious Christmas-colored front porch in all seasons. 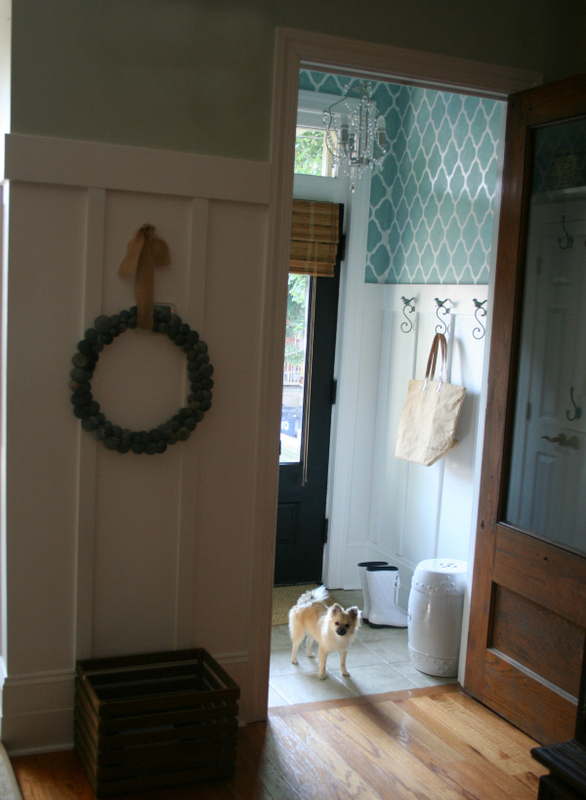 Our entryway is a teeny-tiny space that looks so much better with a litte stencil help. 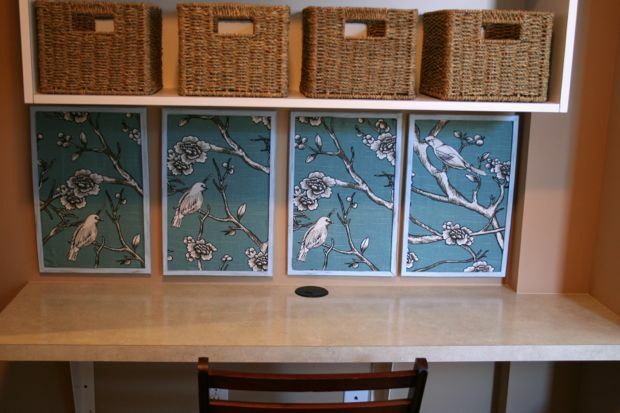 The mudroom was a fantastic idea on my part if I do say so myself! And that cute DIY X-leg ottoman is easy to make if you want to make one for yourself click here for the tutorial. Our dining room is rarely used, so I’m trying to re-think this space. 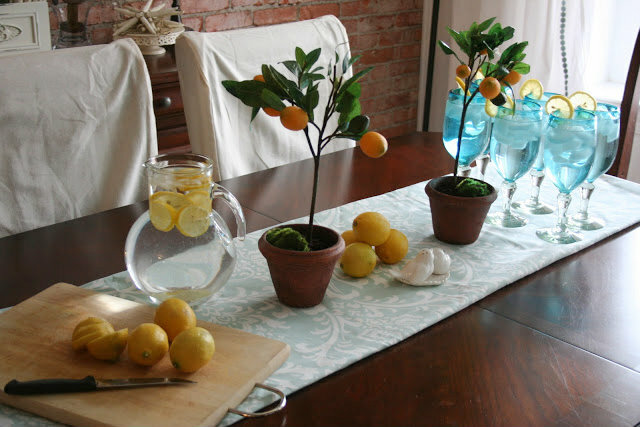 For now it’s a pretty spot to shoot tablescapes. The first floor is an open concept floor plan which has it’s perks and disadvantages. Our leather couches get a summery look with slip covers which are easy to bleach when needed. The living room needs some reorganizing which I hope to do late summer! I always love a good mantel and you can see a ton of mantels here. 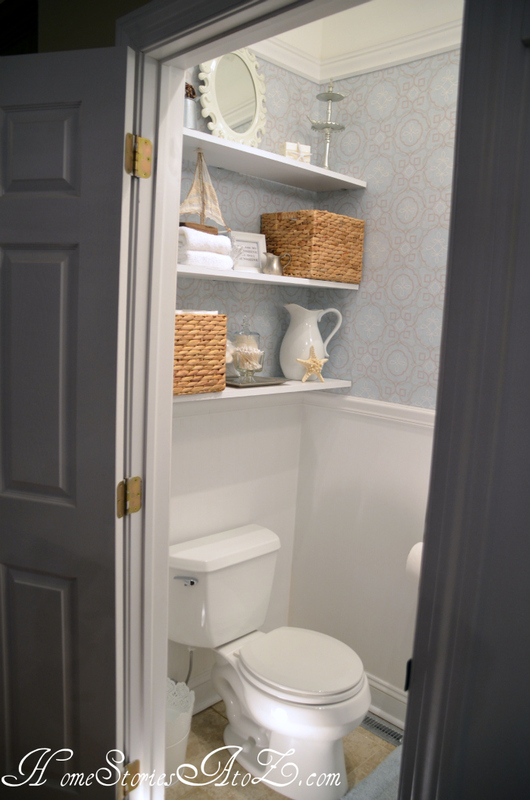 We redecorated the half-bath last year and it’s one of my favorite makeovers to date. You should click-through to see the befores and afters. Our breakfast nook is where we eat most of our meals. 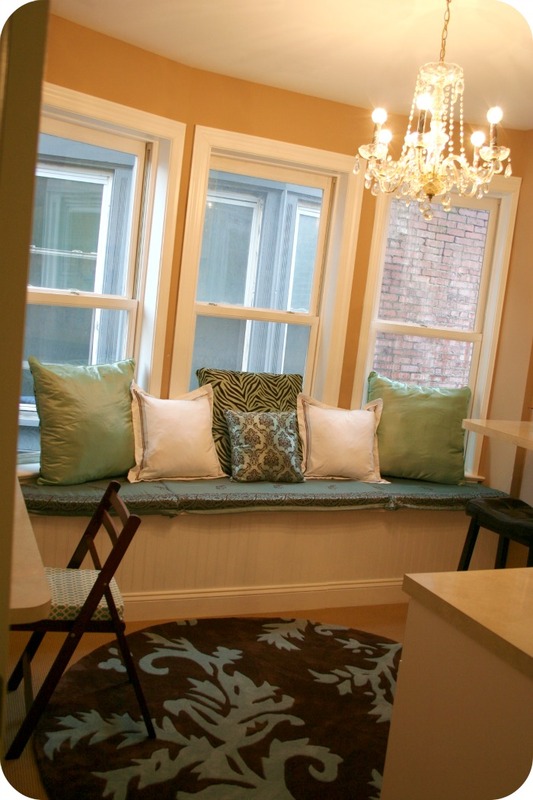 I would love to add a banquette. It’s on the never-ending “to-do” list ;). The room in the house that feels the most like “me” is hands-down the kitchen. This space took forever to transform! 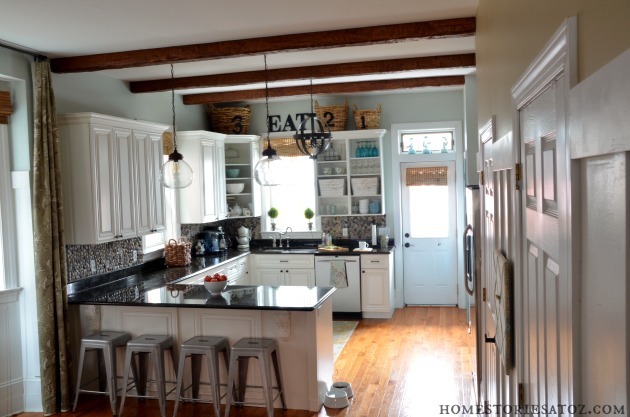 From our DIY pebble stone backsplash, to painting the cabinets, adding a screen door, changing the lighting, and putting up beams it was a lot of work but so worth it! Our backyard is the size of a postage stamp so we try to add a lot of color to cheer up the space. 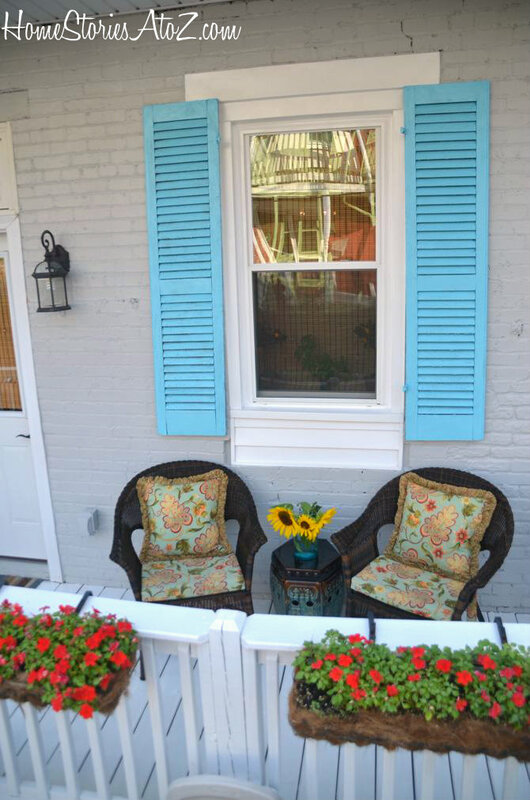 Last summer, I gave our back porch a much-needed makeover. You can read all about it here. 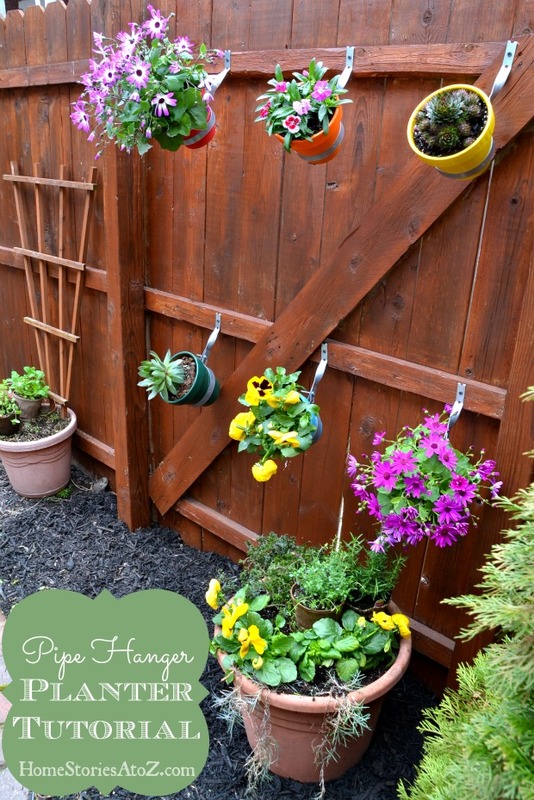 A few months ago, I spruced up our fence with some pot holders made from pipe hangers. 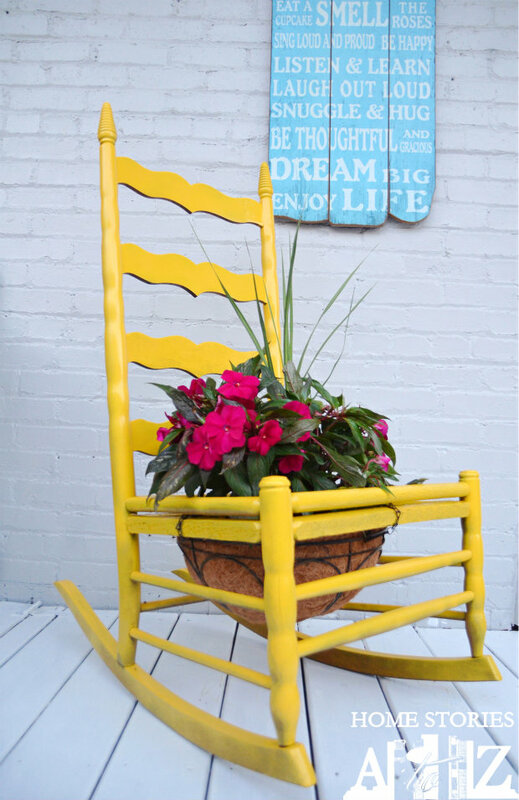 And just a month ago, I transformed an old rocking chair into a cute planter. The boys’ bedroom was a stretch outside of my traditional-decor box. They had requested a myriad of things they wanted in their room and I was proud to combine all of their diverse interests into one cool room! 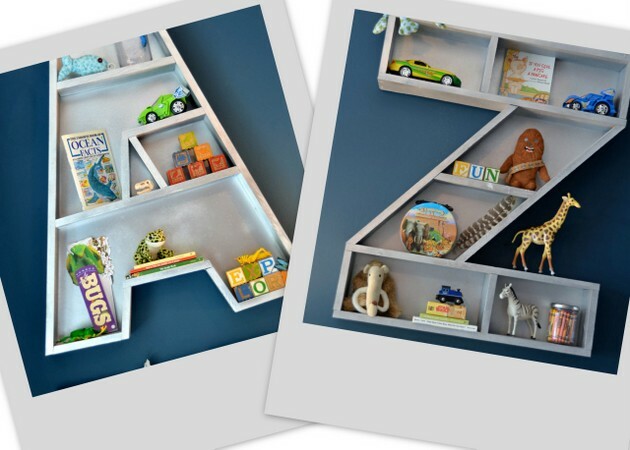 With the help of some custom plans by my girl Ana White, I created some A to Z bookshelves for Asher and Zephan. We inherited two dressers from Matt’s grandparents and I have them some two-toned love. 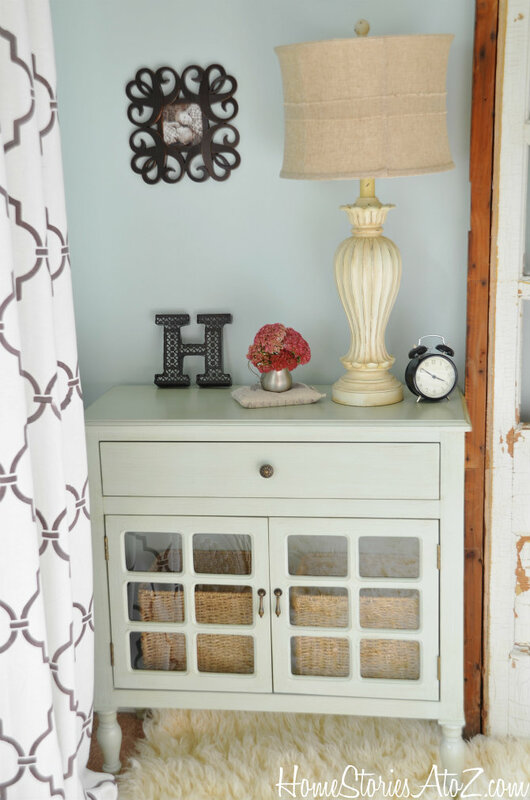 You can see the tutorial on how I transformed the dressers here. 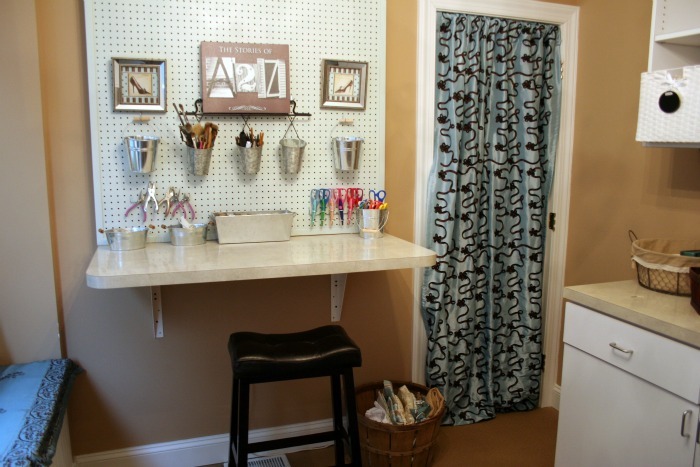 My craft room almost feels ready for another makeover but it will need to wait until all of the other rooms are done! 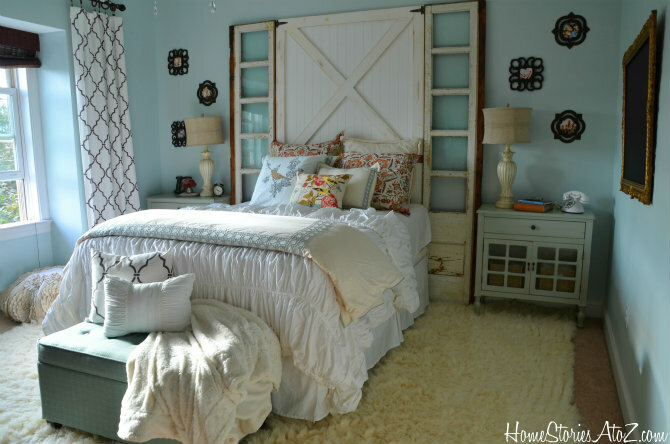 Our master bedroom received a makeover this year and is undergoing another one as I type this! Yes, I change my mind quickly. I’m excited to show you the new and improved master once it is done. 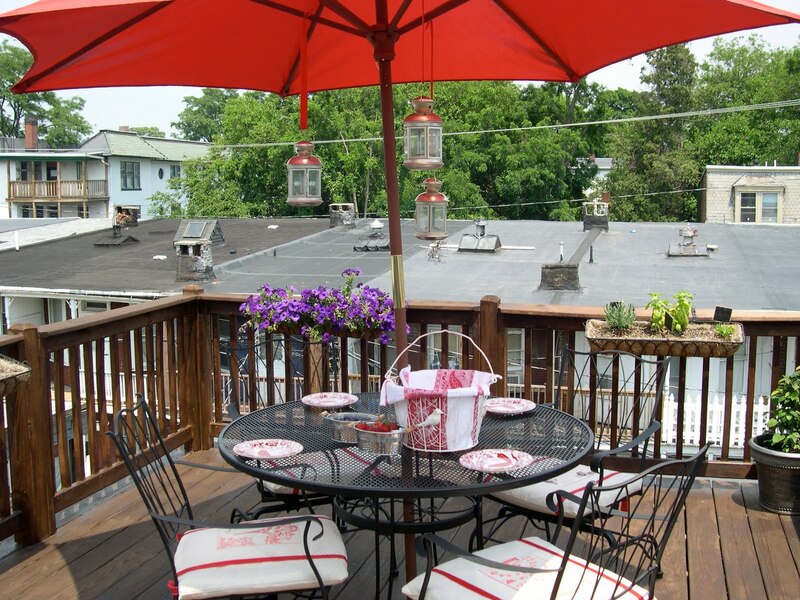 Our roof deck is TOP PRIORITY this summer and I am super duper excited to start making it over! It’s going to be amazing when all finished—hopefully by July. Thanks for visiting me! 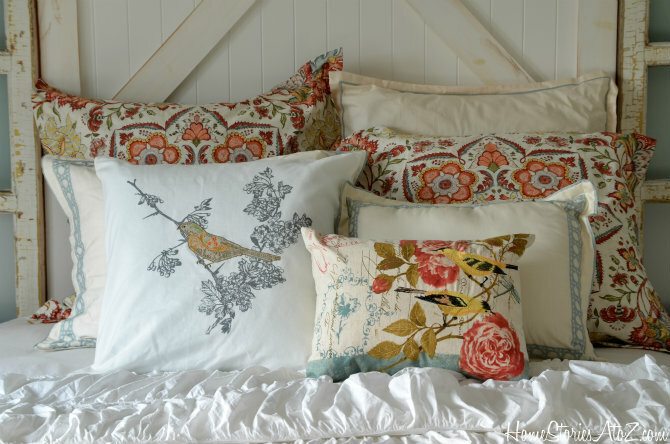 Next stop on your tour is Ashley from The Handmade Home. It’s a crowd pleaser for sure, so click through and enjoy. Where do I even start? So fun to see. Just beautiful. 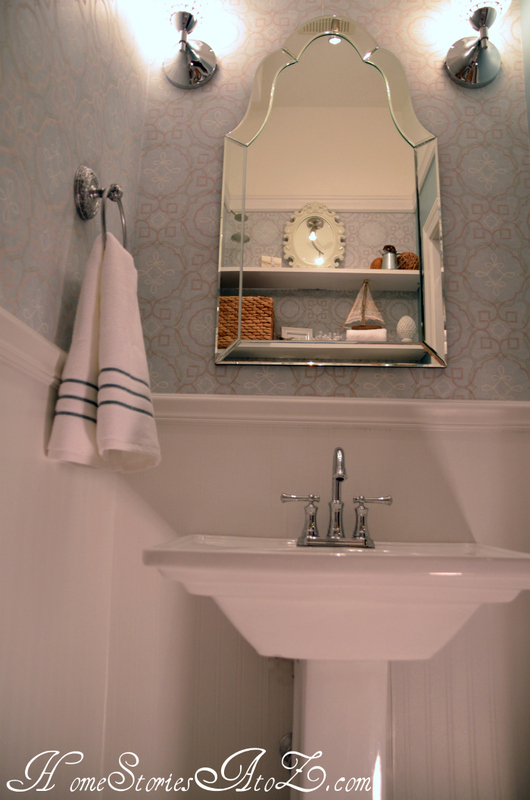 I so love your bathroom with the wallpaper, too. Such a pretty home with so much attention to details. Better late than never!!! Somehow I missed your tour. Love Love Love your home!! Thanks so much for opening it up and sharing it with all of us!! You are very talented, every room has such a special touch to it! Thanks for dropping by Ann! Hi Beth! I love your kitchen! I’m really wanting to paint my cabinets white and now I’m convinced even more 🙂 Can you please tell me where you got your pendants over the counter? I love them!!!! Thanks Kerri! All of the kitchen lighting was purchased at Lowes. Your home is gorgeous and you have decorated it so beautifully!! Your whole home is beautiful and I LOVE your boys room! Just stumbled upon your blog. 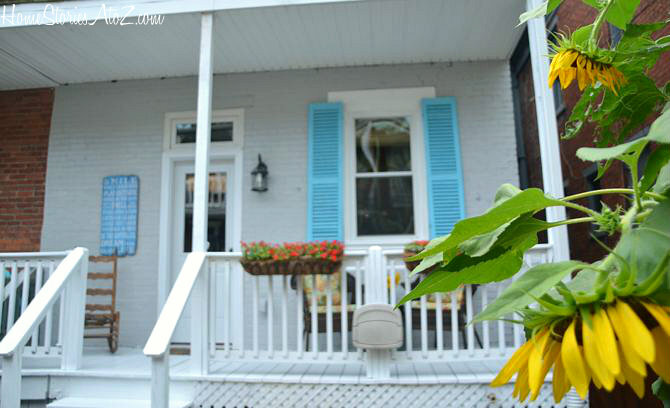 I love your home…probably because it reminds me of the old homes I see each year on The Galveston Historic Home Tour. In fact, I thought you might be in Galveston, but then decided it must be someplace else. Enjoyed seeing what you’ve accomplished. I’m envious. 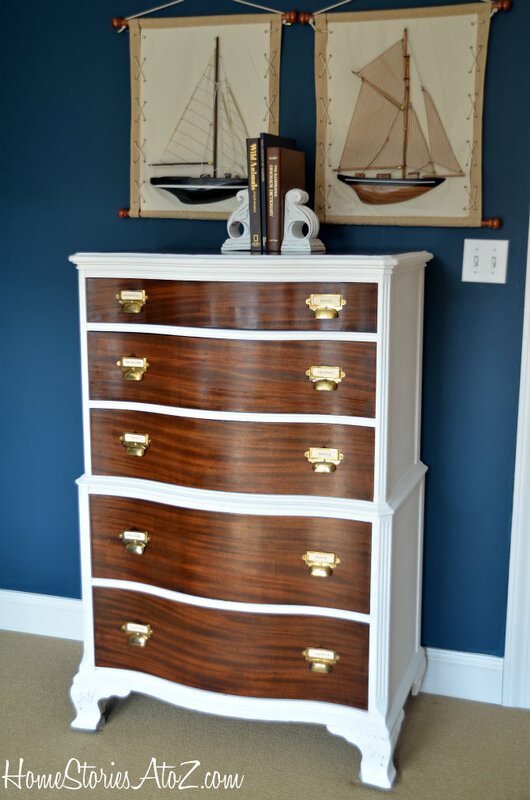 Pinning that chest of drawers… Can’t stop looking at it! Thanks for opening your home! Hi Beth! I just wanted to let you know that I love your home! I love to tour and peek, I have visited the first two days, and will be looking at the other two days of summer tour homes. Of the ones I have seen so far, I feel like I could move us (the hubs, four pups and I) into yalls place and be done. Thanks for all your hard work. I look forward to more of your inspiration! Thanks for sharing so much with us all, I for one, enjoyed every minute! Stunning Beth! Your porch looks so relaxing and inviting. 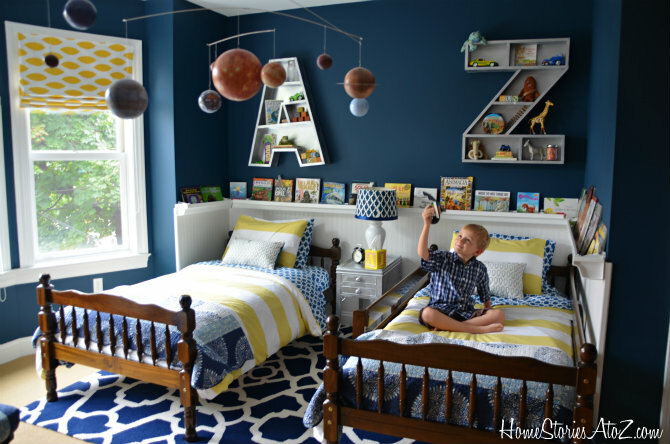 Love your use of flower pots and the monogram shelves in the boys’ room are so adorable. Thanks for the tour! Gosh, going on these tours is SO FUN, I loved touring around your home and seeing so much of it all together in one place! Adorable, Beth! And I just realized we have the exact same white Target crates, so cute!! Thanks for inviting us in to your home and for sharing your beautiful style and projects to inspire us! Your front porch, the boys’ room, your brick wall, and that half bath are still my favs. Look what you’ve done, Beth! Such a beautiful home. Thanks Melissa! Those are some of my favs too. My kitchen is my ultimate fav. 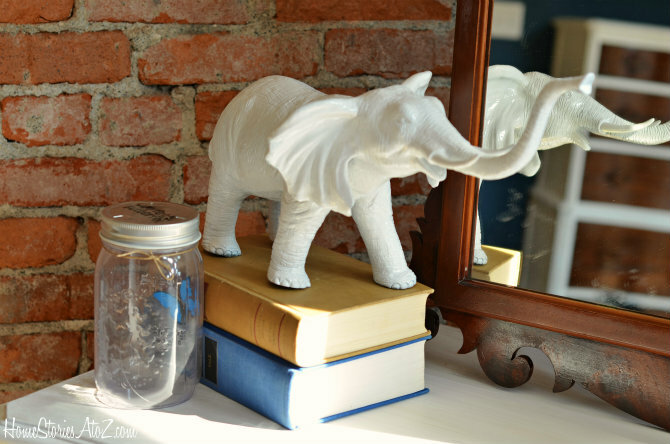 My goal is to make every room my fav but I’m not sure that will ever happen! your back porch makes me so happy, and i love your sons’ room! awesome! 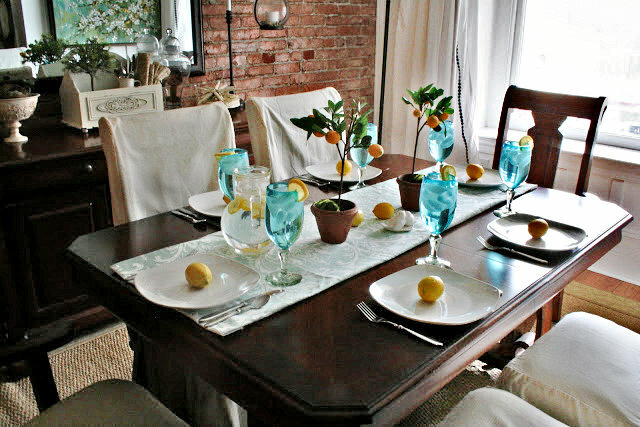 I just love the exposed brick in your dining room!!!!!!!!!!! Okay, I officially love you. My maiden name is Asher and I’m hopelessly hoping that someday I’ll have a grandchild named Asher!! If it never happens, then I’ll just be happy knowing there’s at least one cool mom blogger out there who named her son Asher!! I love your style! I see that someone has already asked this questions, but I would like to know where you got the slipcovers for your couch. Your beautiful style adds so much beauty to the character your home already has. Every space is stunning! Beth – I love your home. It’s beautiful and so warm and welcoming. And what a treat to see it all together. It’s so lovely! Your home is beautiful – thank you for inviting us in! I just love your kitchen! your whole house looks friendly and inviting! 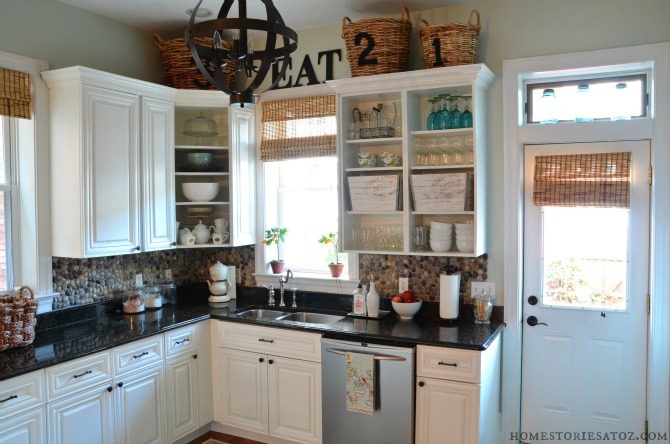 Beth I love love your house and your kitchen is just my style! 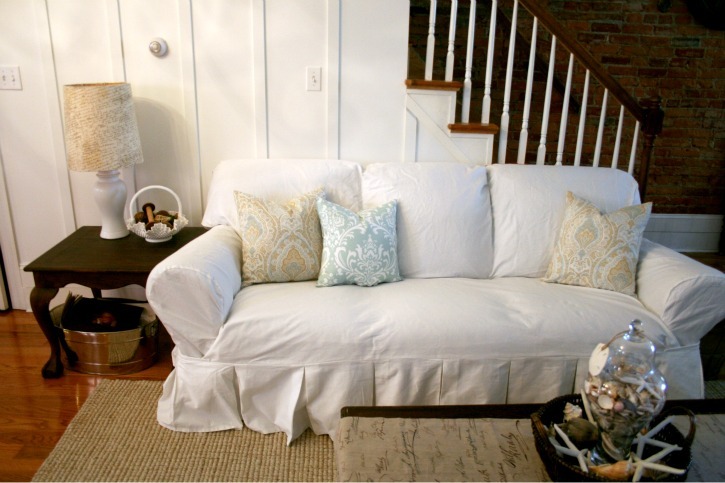 Where did you get the slipcovers for your couch? I have a very large sofa and they look like they might work for me…. Beth your home is beautiful!! 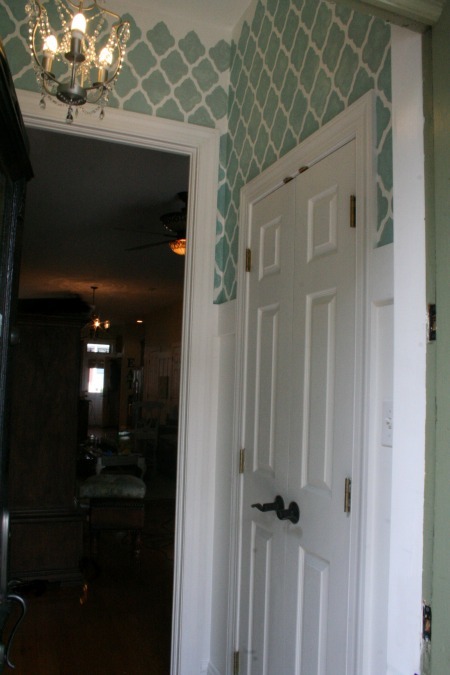 I absolutely love your entry stenciled!! Thank you for sharing! I have ALWAYS loved your home! 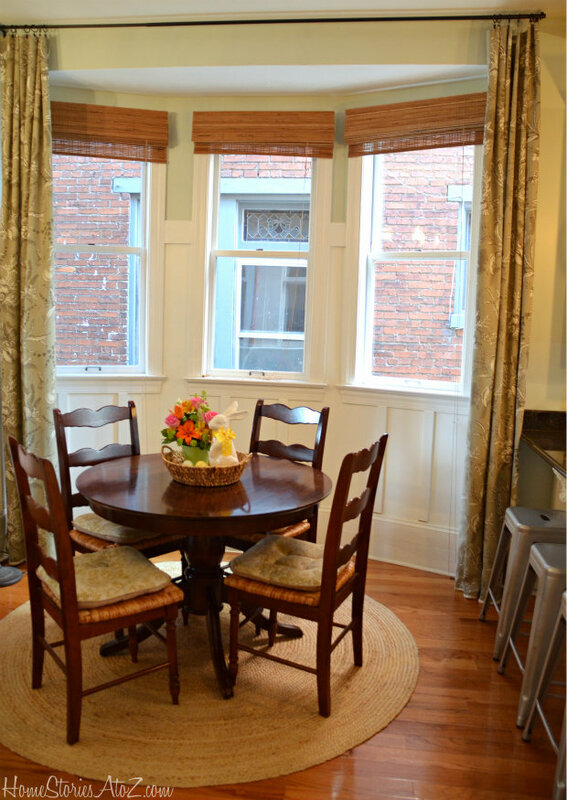 All the special nooks and crannies a heritage home has cannot be matched or made! 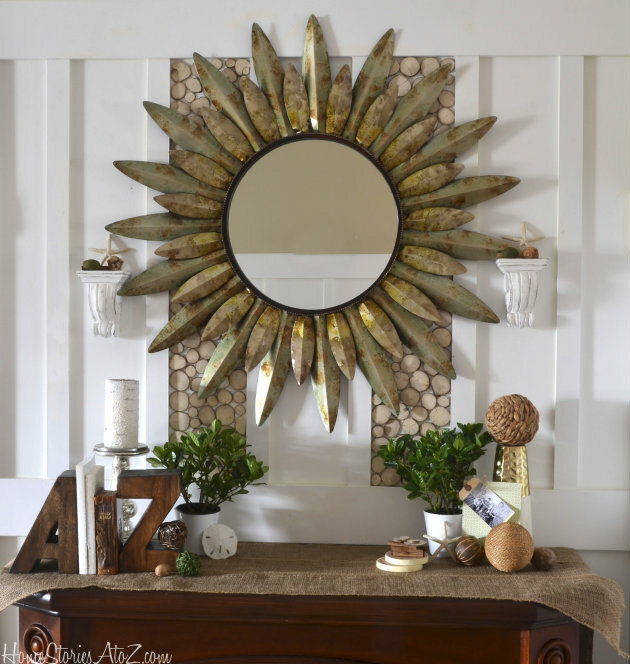 Your beautiful decorating features truly bring out the best of every space. 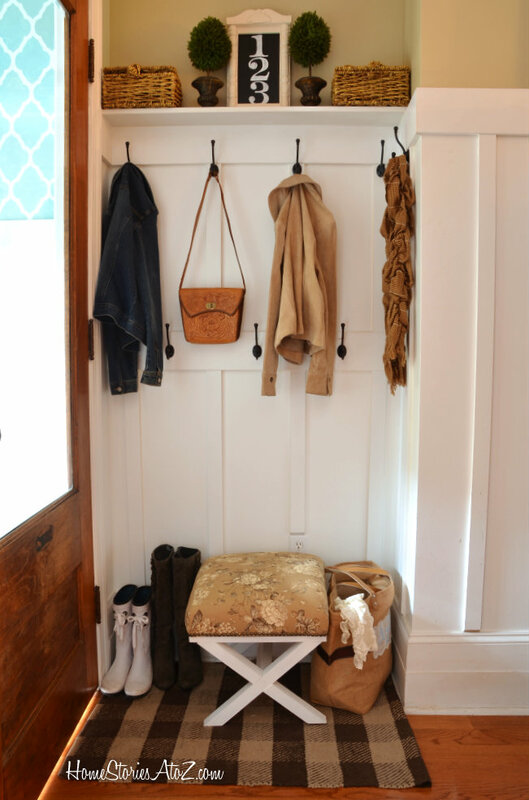 I love so many things but that mudroom steals my heart every time I see it! 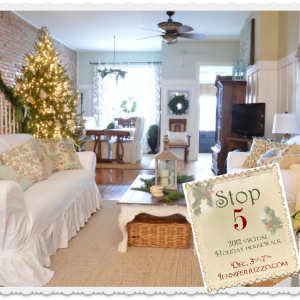 Love your blog and your home! I pinned your darling bird feeder and gave you the credit. So sad that happened! Great job. Thanks for sharing! I love your home. 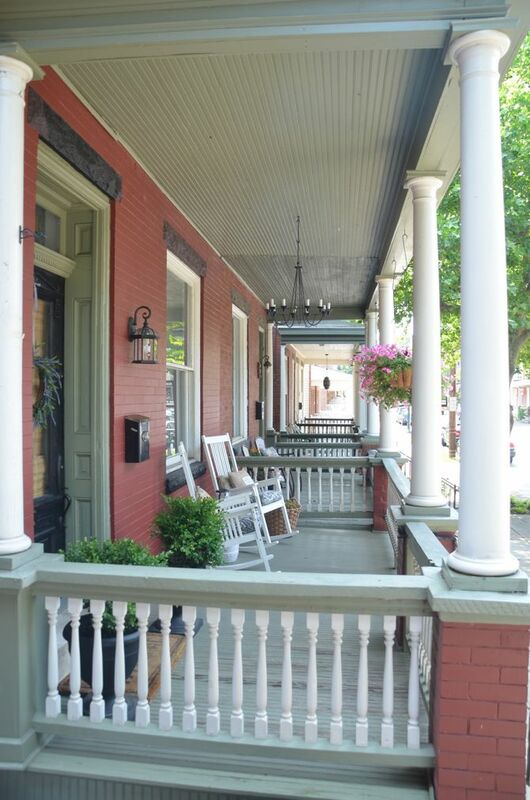 Our front porches are so similar. I wish we were neighbors! I love how inviting your home is. I feel like I could come right in & be at home! Very fun to tour your home. Got some ideas! Thank you. Home tours are my favorite! It’s so fun seeing a full tour of your beautiful home, Beth. (And I’m curious to see what exciting new changes you have in the works!) Your boys’ room is still one of my favorites. Your home is lovely! You have so many amazing ideas; I don’t know where to begin! Thanks for sharing the tour with us and providing lots of inspiration! Thanks for joining the tour! I’m so glad you shared your gorgeous home! Oh my gosh, Beth! I l-o-v-e your house. I feel like you just took me inside and showed me around. So invitingly beautiful; a lovely reflection of you and your family. Thanks so much for sharing. Thanks Therese :). And you are welcome to come drink wine with me anytime! Everything is fabulous!!. I don’t usually use that word, but it’s what popped into my head so I’m going with it. I’ll take fabulous! That’s a wonderful word :). Thanks for visiting me Nancy! Your home inspires me to get to work updating mine! 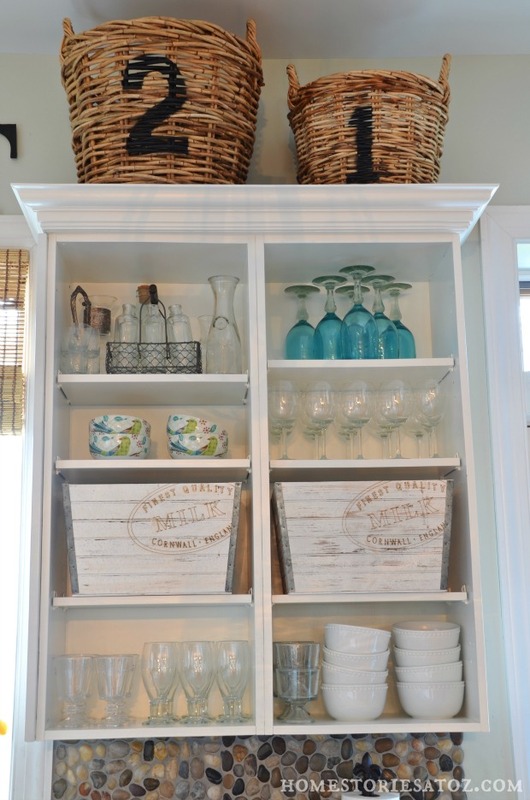 Love the shelves in the bathroom! And I think I need to go wallpaper shopping!! Those shelves were such a simple addition and I love them so much. It’s fun to have another little space to decorate! Thanks for visiting me Holly. Soooooo much to love!! Beautiful—just beautiful!!! LOVELY home, Beth! Something tells me if we lived closer, I’d be at your house all the time like a total dork wanting to make something with you! ha! ;} love it! Let’s do it! I love your colorful wall candy and I need some more personalization in this home. Your home is wonderful! The colors and accessories are fresh and fun!